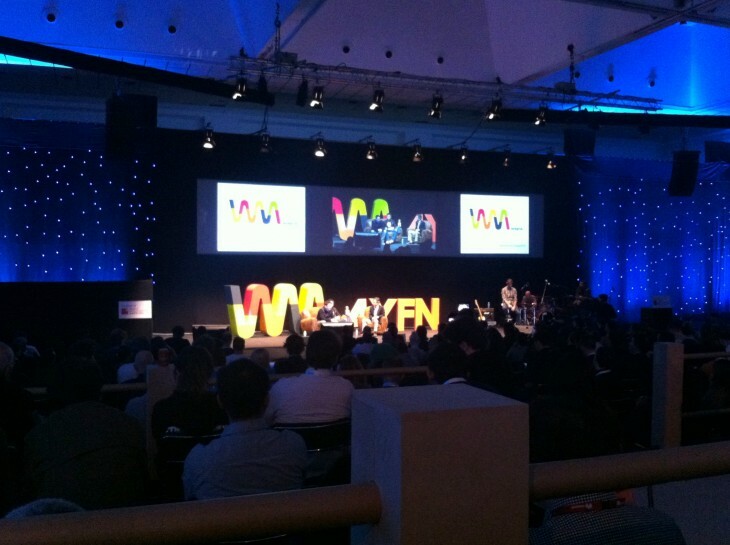 Telefónica’s accelerator Wayra took the opportunity of Mobile World Congress (MWC) in Barcelona to organize its first Wayra Spain Demo Day and showcase 12 startups from its Spanish academies. Holding this event during a major event such as MWC allowed Wayra to take advantage of the fact that many investors from all over the world were already in town. As a result, there was some serious money in the audience, $2 billion being a conservative estimation for the total amount of capital that attendees had under their management. In addition, five high-profile names also accepted to participate in the two fireside chats that were held to share some lessons with entrepreneurs in the audience. The first panel saw Ehud Levy from Vertex Venture Capital interview fellow Israeli Rani Wellingstein, who sold his company Intucell to Cisco for $475 million in 2013. Levy, who was one of Waze’s initial investors, jokingly mentioned that he didn’t get the opportunity to invest in Intucell, due to the company’s “unusual financing path of funding [itself] by generating revenue.” As a matter of fact, Wellingstein explained that his company only raised one round of venture funding since its inception in 2008. The round, led by Bessemer Venture Partners, was first announced in early 2011 and followed a loan from Genesis Partners in 2010. Sharing advice with early-stage entrepreneurs, Wellingstein encouraged them to adopt a persistent and can-do approach, just as Intucell did when it pitched its mobile network management solution to AT&T which ultimately led to a multi-million dollar contract. He also recommended them to make sure to have the right team, target a market they understand and be close enough to their customers to understand their pain and needs. The second panel was moderated by investor Jeffrey Char from J-Seed Ventures, who asked founder of Culture Japan (and Jimmy Choo’s son) Danny Choo and Viki’s CEO Razmig Hovaghimian to tell their stories. Both entrepreneurs insisted on the fact that raising venture capital wasn’t necessarily the way to go, despite the fact that the funding trajectory of their companies has been quite different from one another. On one hand, Culture Japan raised $500,000 USD in revenue in 2013 without any external investors. On the other hand, Viki was acquired by Rakuten for a reported $200 million USD after raising a total of $24 million USD of funding, split into two successive rounds. Of the 20 teams that started the process with us back in Q2 2013, the top 12 will pitch at the next demoDay in Barcelona during the Mobile World Congress. Rest assured: the other 8 teams are still part of the Wayra family and will no doubt pitch in future editions of the demoDay. But the 12 teams that have been selected have been chosen by outside investors, by their peers and by Telefónica as being the best-prepared to wow you based on their current metrics and evolution. The twelve shortlisted companies were AliseDevices, AudioSnaps, ConceptInbox, Excelera, Greenmomit, Infantium, La Más Mona, Mambocar, Mint Labs, MyTwinPlace, SmartPlace and Social & Beyond. Each of them delivered a well-rehearsed short pitch, preceded by a video introduction from one of their mentors and punctuated by live rock music. Although their industries of choice were quite diverse, we also noticed some common traits: many teams had female co-founders, and several of them had already raised follow-on rounds. Social & Beyond is a social marketing platform that gives retail customers free wi-fi in exchange of “liking” or sharing the store’s Facebook page and other social media content. From the retailer perspective, this nice attention is actually a way to obtain otherwise hard-to-get information on their customers, at the right time and at a very low cost. The startup was one of the first Wayra companies to integrate its offering to Telefónica’s, which helped it win clients such as McDonald’s and Spanish retail giant Inditex. From an investment perspective, Social & Beyond has already raised 400,000 euros (around $546,000 USD) in seed funding and is now raising a series A round. MyTwinPlace is a home-swapping website for vacation rental owners and travellers. While it is certainly not the only one, its French co-founder Jean-Noël Saunier did a good job at explaining how it tries to differentiate itself from its competitors, such as the fact that listings are free. One of the company’s edges is its very low customer acquisition cost. This is the result of a growth hacking trick not too different from what Airbnb itself did when it first launched: MyTwinPlace finds social media channels to introduce its brand to hosts who have already listed properties on vacation rental websites such as Airbnb and HomeAway, and may be unhappy with the occupancy rate. According to MyTwinPlace, 41% of its members receive 5 swap requests within a month of registering. Its platform currently boasts over 3,000 listed properties and a 35% monthly growth. Concept Inbox provides the ability for designers to create interactive prototypes and get that feedback in real-time in a visual way – which should make it easier on clients too. There are already more than 10,000 users on the platform and this number is growing 40 percent each month. Creating the first project is free, but after that there are plans ranging from between $14 – $100 per month. AudioSnaps is a photo application that records 5 seconds of audio while taking pictures. The clips are stored in patent pending JPG files, compatible with all browsers and devices. While on stage, AudioSnaps’ CEO Marc Sallent showed a clip of a newborn’s first cry that was captured by a user – a quite eloquent way to demonstrate the app’s uses. He also showed a nice hockeystick curve explaining that the app currently has 100,000 users and growing – a slide that should might interest investors when the startup starts raising a new round of funding the coming weeks. Infantium is building a smart tutor engine for young kids that maps baby’s learning to deliver personalized teaching. While its Demo Day pitch was a bit too information-heavy, the company is definitely one of the Wayra startups to watch. Not only did it win several startup competitions, but it also raised additional seed funding from 101 Startups. Perhaps more importantly, it signed an agreement with Telefónica which means the telco will pre-install the startup’s apps on new tablets. While we encourage you to check out all finalists, we also would like to give a special mention to three companies: smart thermostat maker Greenmomit, P2P car rental platform for travellers Mambocar and “Airbnb for fashion” clothing rental marketplace La Más Mona. “Wayra is global” was the title of a panel that took place a few hours before Demo Day and focused on the accelerator’s fast-growing international reach following its first steps in Colombia in 2011. Spanish-language tech blog Alt1040 rounded up some interesting numbers on Wayra, including the fact that Wayra has now branched out into 12 Latin American and European countries. In addition, we reported earlier this month that it is venturing into Asia for the first time, thanks to a partnership with Virtue Inno Valley (VIV), an accelerator program run by Tsinghua University. “We have consolidated operations in Europe and Latin America, and extending the Wayra network to Asia is a great step for us to create something remarkable in the startup industry,” Gonzalo Martin-Villa, CEO of Wayra, said in a statement. His comment was a reference to the track record that Wayra has built over the last couple of years, during which Telefónica invested over 13 million euros (around $17.8 million USD) through the accelerator. This funding went to 319 companies, out of which 180 have officially graduated from the program. One of the highlights of this first Wayra Spain Demo Day was the fact that the synergies between Telefónica and participated teams have started to bear fruits. Not only did several pitches mention partnerships with the telco, but Alt1040 also noted that a total of 60 teams ended up being integrated into Telefónica. It is worth noting that Wayra Demo Day event took place within “4 Years From Now,” a new event that attracted 2,3000 participants and which may well be the best part of MWC for anyone interested in entrepreneurship. Also known as 4YFN, this three-day side conference consisted of a series of keynotes and workshops, and also included a large exhibition space for startups. 4YFN also held its own startup pitching sessions throughout the event as part of its mobile startup competition, which culminated with an award ceremony yesterday. The main competition’s winner was Israeli startup was Cell Buddy, which helps travellers circumvent mobile roaming charges. The second and third places respectively went to above-mentioned Infantium and French startup Alima. Several secondary awards also went to all 10 finalists, which had been shortlisted among 450 applications from 49 countries. One thing is for sure, it will be interesting to see whether 4YFN achieves its long-term goal and how many of this year’s participants and winners end up being featured as keynote speakers four years from now.